MOSCOW -- New Russian road safety regulations bar transsexuals, transvestites and others with sexual "disorders'' from driving, ostensibly for medical reasons. 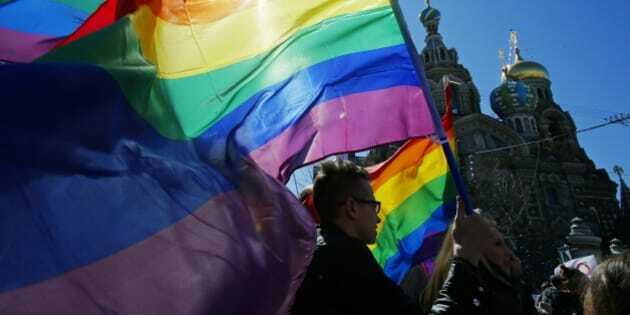 The new regulations have been criticized by rights activists, who see them as unconstitutional and likely to exacerbate an already hostile climate for the lesbian, gay, bisexual and transgender community in Russia. The government resolution, dated Dec. 29 and signed by Prime Minister Dmitry Medvedev, lists numerous medical conditions, including "mental and behavioural disorders'' defined by the World Health Organization, that the government believes disqualify a person for a driving license. The resolution does not claim WHO endorsement for the new driving restrictions. The WHO classification contains "gender identity disorders'' such as transsexualism and "disorders of sexual preference,'' including fetishism and voyeurism. The organization, which has been under pressure for years to stop considering transgender people as mentally ill, is currently revising its International Classification of Diseases, which came into use in 1994. The revised version is due in 2017, according to the WHO website. Saxena said there are working groups considering whether gender identity should be deleted from the mental disorders chapter. Human Rights First activist Shawn Gaylord said in a statement that the rule change "leaves the door open for increased harassment, persecution and discrimination of transgender people by Russian authorities.'' He also said it could deter transgender people from seeking mental health services for fear of receiving a diagnosis that would strip them of their right to drive. If the regulations do deter people from seeking medical help, this would have implications beyond the transgender community. Those barred from driving also include people who suffer from mood disorders, anxiety, depression, dementia and schizophrenia. Based on the WHO classifications referred to in the regulations, drug addicts and pathological gamblers also could be kept from getting behind the wheel.